In My Experience, I have seen even after Good matching points between two horoscopes and having more than 30 Guna’s people still facing many issues in their marital life & problems keep disturbing in marriage & personal life. You know why this is happening ? Because of Half baked Copy-Cat knowledge of Jhola Chap Commercial Astrologers, predicting based on mere so called mis – conceptualized and manipulated Modern concepts like Kaal Sarpa Yoga, Manglika yoga, and there are many such more concepts and yogas are present which are not mentioned in any of classical works, with out evaluating true reasons for post marriages issues, people are blindly following commercial astrologers. In My opinion they are simply ruining the image of Vedic Astrology, without doing any statistical research on post & pre Marriages issues, blind match makings are made.Without Digging Deep details on two horoscopes they are simply claiming match is perfect, in my view its a dangerous method of ruining life of two people and two emotional family values. What is marriage astrology ? 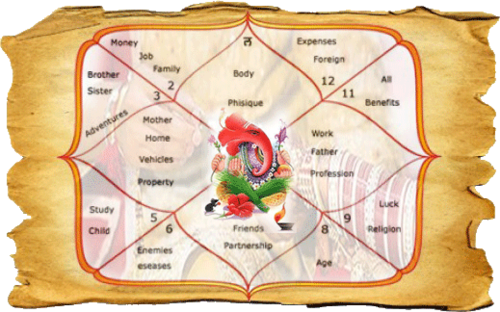 For Perfect Matching between two horoscopes learned astrologers should do Lagana Matching and Up-Pada(UL) Matching before approaching to final verdicts on horoscopes. Lagana Matching gives complete knowledge on nature, Spiritual values, frequency and thinking intensity of two couples, qualities and level of intelligence between two couples which can be a measure for building block & growth in marriage relationships, Up-pada Lagana matching gives complete information on soul level compatibility between two couples. Lagana Sign should be compatible to each other i.e If one has Cancer Lagana and Other lagana you are matching is Aquarius than it would be a dangerous match which deliberately become a main reason for hardship and suffering in marriage relationship, it can give massive amount of emotional turbulence and Physical separation as well as suffering in emotional/personal values of two couples which can give arise sever enmity between two people.6/8 is a Dangerous relation between two lagnas , both the laganas are falling to their 6th(enmity) and 8th(Suffering) house respectively, both the people never ever gone able to stabilize each other with their physical, intelligence, emotional and thought level harmonies.One is a watery and other is an Airy Lagana ; two different domain cant be perfect for long term relationships.Perfect Rule is, always Match signs of lagana either falling in trine( 1 , 5 and 9th house from your lagana ) to each other or in mutual kendra to each other ( 4, 7 and 10th from your Lagana).2/12 is another Most incompatible match where one has to face Miscommunication and other has to face setback in emotional expectations.One need attention but other is not ready to give any attention or enough caring toward the values of other emotional need. It is a bit Mismatch relationship between two people, so never match laganas falling in 2 and 12th house to each other. If you are matching a Girl chart check her 1st house for presence of any malefic house ( for any Rigidness in Nature ), afterward check her 2nd house – for any malefic planet placement house of speech and family values. 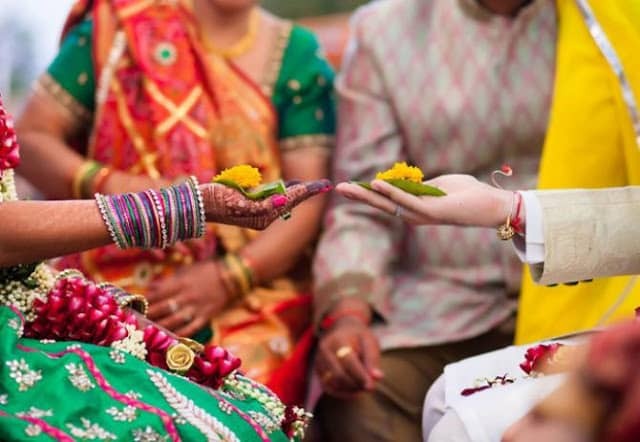 Than check her 4th house – if there is presence of malefic planets in 4th house – girl cant be stable in next home she is going to join with the in-laws family and soon she has to leave the house of in-laws and there wont be any harmony or peace after marriage. This could lead a major break-up due to issues with inlaws families.4th house is falling 10th to 7th house – a Play ground for Marriage relationship where actual cricket match plays after marriage – if any malefic planets are there match can be ruin with violence and aggression toward family. 2nd house is 8th from 7th house – again a Karka of Suffering to 7th house properties, any malefic in 2nd house – gone suffer family values of both spouse.1st house is directly opposition to your 7th house of Partner – if any malefic present , both the ideology never gone match ever in life and there will be life of Ego and opposition of views. Now Coming to 7th house – If there will be any Negative planets in 7th house , Spouse always negatively treat partner or may be she dont like the attitude of the partner. Malefic in 7th house always be a case of ill treatment with partner which again lead to a battle ground for either extra-marital relationship or having out of wed lock situation. 8th house should be clean with any negativity – if there is any nodal or any malefic planets placed in 8th house – there will be a Major violence in relationship after marriage, it can be related with sexual incompatibility between two couples or might be sexual frequency never gone matches with each other and they may gone separate soon due to heavy violence , animistic sexual behavior or due to Sever Financial losses or joint ventures may gone face hardship. If there is Any Malefic in 10th house – it will lead downfall to career of partner after marriage. Most Important – 12th house should be clean from malefic influence in both Couples i.e from Mars , Rahu + added Venus for females , if it is then there always be secret enmity or hidden relationships behind Wall and two people cant sleep in one room ever. Most Important – In Female Chart – Venus shouldn’t be there in 6th & 12th house either in D1 and D9 Chart – In My experience i have seen legal separation very often soon after marriage. Karka of Feminism , Women-ism and Relationship Shouldn’t be Debilitated in D9 Chart for longevity of marriage. Reason for Legal Separation and Divorce Is seen from Affliction in 8th house or 8th lord , 6th house and 6th lord, 6th house and 6th lord promotes bachelor hood and 8th lord and 8th house promotes Inability to fall in marriage and also marak for 7th house too, 6th house and 6th lord is Marak for 5th house matters – True Love and Kids. In 6th Lord Major/Antar Dasha period usually tension arises in both couple and they may opt for legal separation or paper work May starts in 6th lord AD period.Dasha of 8th house planets gives temporary Separation which can lead to legal separations. Sun + Venus Close conjunction within 6 Degree is Most disastrous Combination for Legal Separation and Disputes between couples. In D9 Chart – 8th and 2nd house Should be clean from any Malefic Influence i.e Mars , Rahu and Saturn. In D9 chart if 7th lord is with Nodal axis- it may give argumentative spouse who always involve in Starting of issues in personal life. Presence of Malefic Influence on D9 7th house gives – Very Bad , Mean and Argumentative Spouse and may always give interest in mean people other than marriage. For Longevity point of view of Spouse in Female chart – always check strength of Jupiter in D1, D9 and D60 chart. 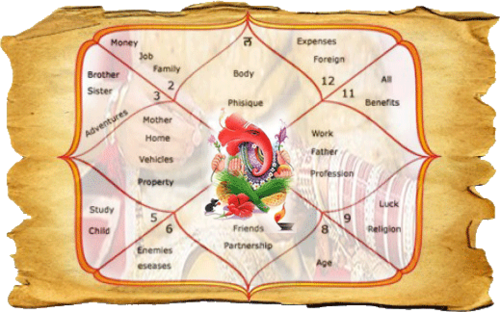 For Longevity point of view of Spouse in male chart – always Check Strength of Venus in D1 , D9 and D60 chart. If there is Presence of Mars , Rahu and Venus influence is there on 2nd house of D9 – Relationship with other women or men could be reason for break in Marriage. All the combinations which i have explained above are based on my Experience on Martial discords which i had came across in my recent years observations.All the experience are based on practical and real Life case study analysis.2nd Major Way to check Couple compatibility is UL Matching ( Up-Pada Lagana Matching). UL Indicates Soul Nature of Spouse and DK indicates Soul quality of Partners – it includes Every relationship – Gf/bf/Sexual/Business/Spouse too. Presence of Malefic Planets in UL indicates – Bad Soul Nature of Spouse , Presence of Malefic planets in 2nd from UL gives – Reason for breakup or Separation between couples. 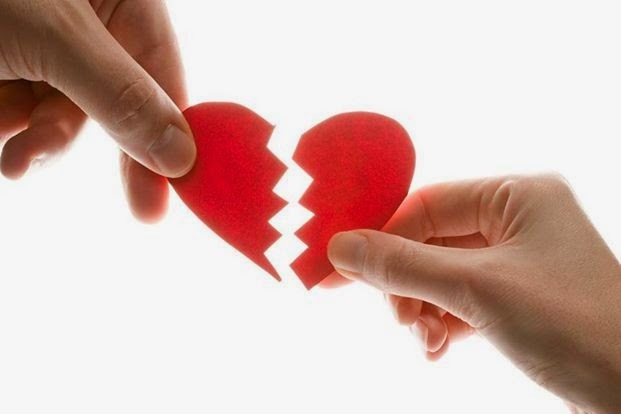 6/8 and 2/12 Relation of AL and UL gives Bad compatibility between couples.Presence of malefic planets in 8th from UL gives – Probability of 2nd Spouse after one serious Major break-up.7th from UL gives People who are Openly opposing the Spouse i.e Mars – Brothers , Venus – Sisters or females friends , Sun – father in Law , Moon – Mother in law.Weakness of 2nd lord from UL gives when relationship can break or in which Rasi Dasha it can break the relationship and also gives clue how relationship breaks.Lagana of Spouse should fall either trine from UL or Kendra from UL for perfect harmony between couples , other than trine and Kendras gives Issues after marriage.Matching and finalizing the horoscopes based on Gunas Milan is a dangerous system which i have seen Jhola-Chaap Astrologers are doing these days , ruining the emotional values of Two families. Even The Lord Shiri Rama and Mata Sita has Matching points over than 34 but they still got separated due to Complicity and environment factors arises after marriage.So, my Dear Learned and innocent members never go & opt blind matching based system on Gunas, Please get evaluate over all Analysis before confirming or finalizing two horoscopes. 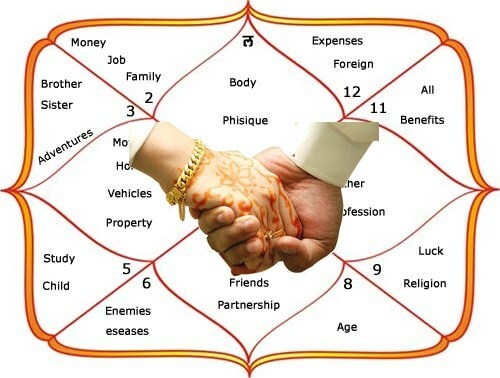 Conclusion : From above all what we have found traditional way of Match making in Marriage astrology is purely a incomplete system and one has to do a complete and thorough lagna match making of both the couples rather believing in Guna milan system in astrology.